Isn't that a picture of happiness right there? The last in the series came in the mail today. I have just started book number two. I see Dorothy Dunnett wrote another series as well. Should I be stockpiling that too? New to me authors do make me happy. I found this at the library book sale room. I snatched it up since it ties in so well with the Lymond Chronicles. The time period is not one I am very familiar with and I realized that my knowledge of the life of Mary Queen of Scots is extremely limited. She is one of those historical characters I feel like I am very familiar with but then, when I really think about it, I realize I am abysmally ignorant. Hopefully, this book will fill in some of the gaps in my knowledge. 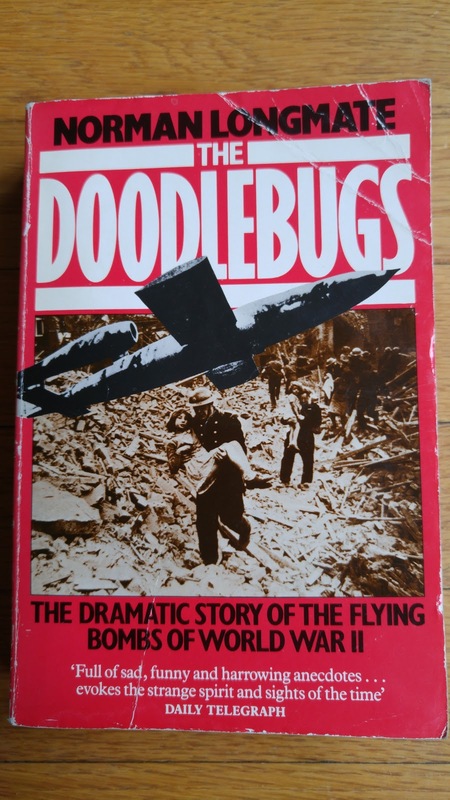 Maybe I need to expand my nonfiction reading beyond the social history of WWII. Though to feed that addiction I did buy one more book. Norman Longmate wrote one of the most fascinating books I have read about the time period, How We Lived Then. It was very readable and very detailed. I am hoping this one lives up to my expectations. If you notice on the cover, the Daily Telegraph says it is "full of sad, funny and harrowing anecdotes." That is what I find so interesting. It isn't the war or the bombs themselves or the politics, it is the people's lives. It is what they did and how they coped. The internet has a lot to answer for. In the past, it was never so easy to feed my book addiction. I seem absolutely incapable of only buying a book or two. Oooh, Antonia Fraser's biography of Mary is considered a seminal historical work now, I think. Do write a review of it! I've always wanted it! That is good to know. I had no idea. I just picked it up off the shelf because it fit in with the other books I am reading. I will do my best to write a review. I am trying to get the number of books I have started at once down to a more reasonable level but I am sure I will get to it soon. How lovely to see all your done it books together! Do you know that there is a standalone book? About the historical Macbeth in Scotland. It is such a gorgeous book. And then there are the mysteries as well! I enjoy the first Niccolo books, but for me that series will never compare with the Lymond Chronicles. Of course that was supposed to be DUNNETT books, before the auto-correct got to it. You do know that now I am going to have to look for a copy of the Macbeth book? You have not been good for my book buying budget lately! Not that I am complaining, mind you. Isn't auto-correct a wonderful thing? 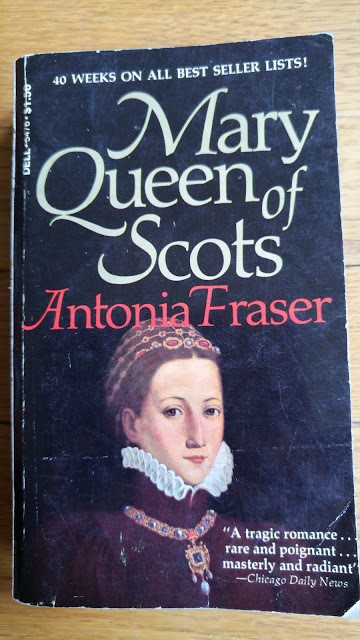 The Antonia Fraser book is very good although I know that some people have had trouble with it as it's very detailed and can be confusing if you don't know much of the historical background. I hope you enjoy it. I've just bought the sixth book in that Dunnett series, having finished the first one recently. I just need to find 2,3,4 and 5 now but as 1 and 6 are hardbacks, that's what I'm looking for, from secondhand bookshops, no easy task. I am interested to try the Antonia Fraser book. I don't know much about the historical background but, hopefully, her book will help. 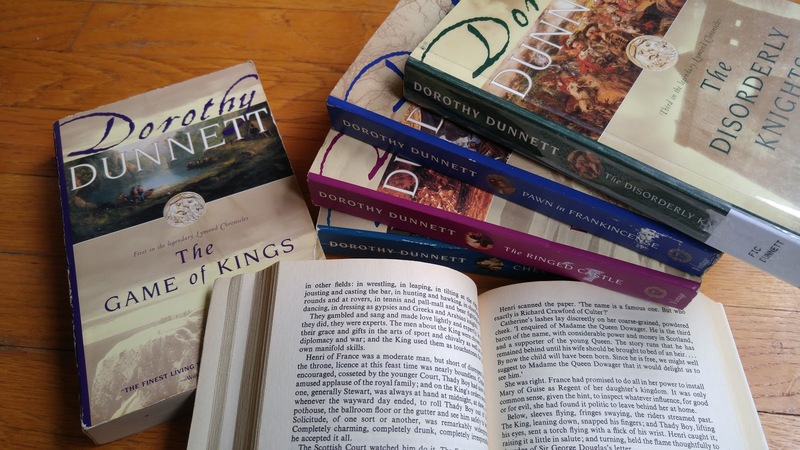 I hope you find the rest of the Dunnett series soon. I don't have many bookshops near me so I ended up ordering them online but the thrill of the search in shops is much more fun.